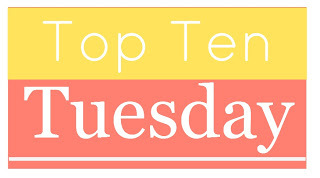 This week’s Top Ten Tuesday, hosted by The Broke and the Bookish, features my most recent book purchases! This was a fun post to write because my books are rather diverse (science fiction, nonfiction, mystery & thriller, classics, and YA classics). Some of these books I have already read, some I’m in the middle of reading, and others are still waiting to be picked up! 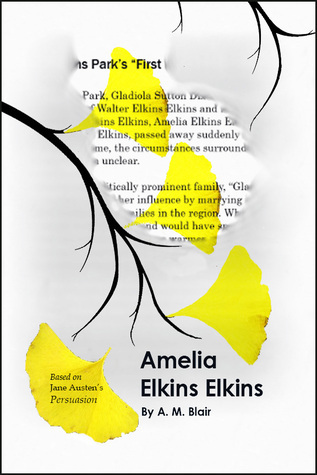 Amelia Elkins Elkins by A. M. Blair (via Kindle) – One of the bloggers I converse with regularly recently published a retelling of Jane Austen’s Persuasion! Amelia Elkins Elkins is a modern “courtroom drama” version of one of my favorite Austen novels (I haven’t started it yet, so I may be exaggerating on the courtroom drama aspect, but it is a legal mystery/thriller!). Hop on over to The Misfortune of Knowing to read more about this Persuasion adaptation! 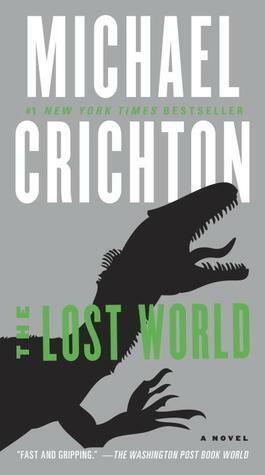 The Lost World by Michael Crichton (paperback)- After racing through Jurassic Park a few weeks ago, I went to Barnes and Noble to pick up the sequel. I had hoped to read it during my vacation two weeks ago, but I was immersed in another book on this list. The Lost World is still on my immediate TBR list, though! 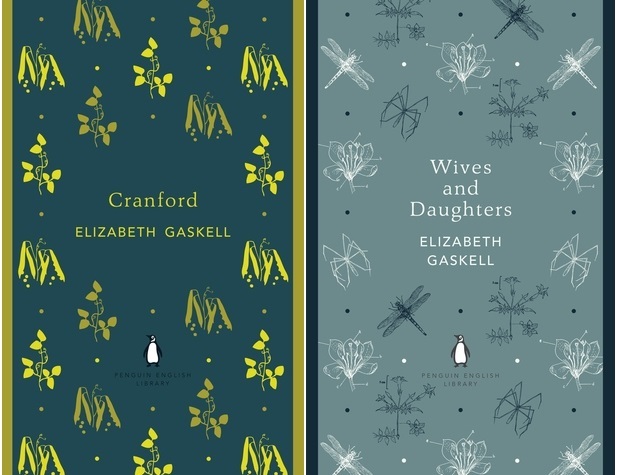 Cranford and Wives and Daughters by Elizabeth Gaskell (via Kindle) – I’m desperately trying to get through my Classics Club list, and I have just started Wives and Daughters after hearing about the Victorian Celebration event A Literary Odyssey is hosting this month. The only other Gaskell novel I’ve read is North and South, which I ADORED, so I’m hoping I like these two novels as well. 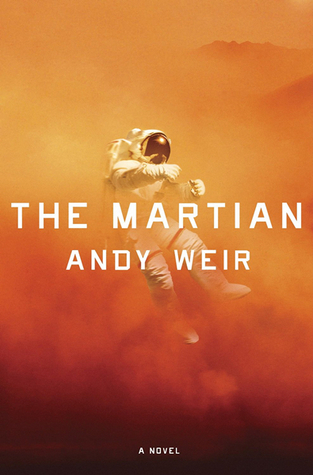 The Martian by Andy Weir (paperback) – I’ve been trekking through this book for a few weeks now. Don’t get me wrong, it’s anything but boring, but it is highly technical and therefore I can only pay attention when I’m reading in absolute silence (which wasn’t easy to do when I brought this book along on my cruise vacation two weeks ago). 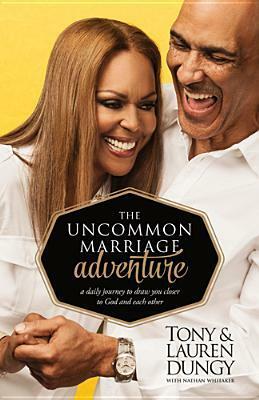 The Uncommon Marriage Adventure by Tony and Lauren Dungy (hardcover) – My husband and I started going through this devotional together, but it’s been hard for us to find a consistent time to read it so we’ve been slacking. What If? 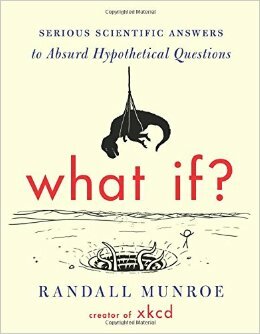 : Serious Scientific Answers to Absurd Hypothetical Questions by Randall Monroe (hardcover) – I mentioned this book on a non-fiction themed Top Ten Tuesday a while back and I am pleased to say this one was very entertaining and enlightening. If you like science or just like to ponder ridiculous hypothetical questions, please check out What If?! Anne of Green Gables, Anne of Avonlea, and Anne of the Island by L. M. Montgomery (paperback) – I bought these three personal favorites a few months ago, anticipating a spring reread. Unfortunately I didn’t get around to doing that, but I do enjoy admiring the gorgeous artwork every time I see these books on my shelf. I wish the whole series was published in this format, but there’s only these three plus Anne of Windy Poplars, Anne’s House of Dreams, and Anne of Ingleside. Wives and Daughters, and Cranford are great though different to North and South. I’d best describe them as a bit more Jane Austeny. I love the artwork on the Anne books. I’ve read them countless times and already have a perfectly good set but I think I must go find those! I’d love to read Elizabeth Gaskell though I have to finish up my current classic club list before I add any more classics! What If looks like a lot of fun. I’ll have to look for that one as well. Great list! I’ve read AoGG countless times, too, but the cover art for this edition really made me want to buy a new set! Plus, my best friend is currently borrowing my original set, so I needed a backup copy ;) Good luck on your Classics Club list! I have to hold off on adding more to my list, too. Those Anne of Green Gables covers are gorgeous! I really think I need to find them. I already have two copies of the first three books, but really… so pretty. I haven’t read The Martian or anything by Elizabeth Glaskell yet, but they both are intriguing. Nice top ten! 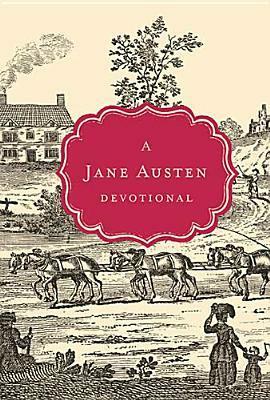 A Persuasion read-along sounds like so much fun! Thanks, Maggie! I’ll check it out this weekend. Great list. I really want to check out The Martian because the movie trailer made me want to! The covers of those Anne books are beautiful! I haven’t read any Michael Crichton books yet, but I’ve heard Jurassic Park is awesome. JP is awesome :) I hope you get the chance to read it one day! It was my first (and so far, only) Crichton book. The last book of any persuasion that I bought was a board book – Star Wars Epic Yarns: A New Hope – for my kiddos. Looks like the last book I bought for me was Wolf Hall in paperback (I already had a copy of Bring Up the Bodies). So good! I think you’ll enjoy The Martian! It was super technical but hilarious at the same time (I laughed out loud so much I just assumed everyone around me thought I was crazy). BTW, that Star Wars book sounds amazing! I don’t think I’m going to read Go Set a Watchman…I feel so skeptical about it all. But I can’t wait to hear your thoughts! I’ll trust your opinion more than other readers I follow online. WHAT is up with publishers making gorgeous covers for only some of the Anne books, not all of them? This is really dumb of them, IMHO, cuz I’m not gonna buy just one or two — I want the whole set. This is the third time this month I’ve seen gorgeous covers for the Anne books, only to learn the whole series isn’t available. WHY????? Cranford was on my TTT list of recent acquisitions too! Whadday know. I’m totally ranting with you! I would really like another complete set of Anne books, so I’m hoping that they’ll publish the remaining ones eventually. I might read Cranford after I finish Wives and Daughters, who knows!? Who published the gorgeous ones you got? I’ll add them to my wish list in hopes of the others getting released too. Thanks! I’ll seek them out. Ha ha, I had the same reaction after Jurassic World — I need to read the books! JURASSIC PARK the book was an entertaining read, but the characters were so flat and unlikable. I much prefer the movie version. Anyway, I’m on the waiting list at the library for THE LOST WORLD. They only have a couple copies, if you can believe it. Happy TTT (on a Friday)! I did prefer the characters in the Jurassic Park movie (they’re more relatable and rootable I think).